Business Intelligence and user adoption: A Depp-esc disaster? We’ve said it for a long time. In fact, we wrote a blog about it almost two years ago – What’s the Key Metric for Measuring BI Performance? 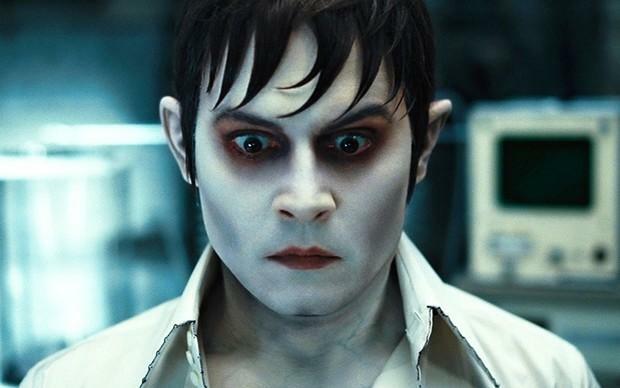 And, much like the enduring partnership between Tim Burton and Johnny Depp – although their latest collaborative effort (Dark Shadows) received a dismal 42 percent rating on Rotten Tomatoes and had the LA Times wondering “has America fallen out of love with Johnny Depp?” – Business Intelligence (BI) and sustainable widespread user adoption seem somewhat inseparable. Like our apparent overexposure to Burton and Depp’s quirky explorations of society’s social fringes, the necessity of BI user adoption is a message seemingly disregarded by an unreceptive audience – vendors and implementers alike. Industry analyst firm, Aberdeen Group, have reiterated a familiar yet unattained mantra, echoing our long held view, indeed Yellowfin’s founding principle, that BI has a far wider (and continuously mis-catered-for) audience – that BI Return on Investment (ROI) is best attained by empowering decision-makers to act. The inherent, and in many cases prevailing, cost and complexity of more traditional BI tools place corporate data in a virtual prison – unable to escape and bare itself to the outside world; controlled by a minute usership of data analysts. This community is often disconnected from business demands, and rarely capable of transmitting the value of data analysis to the breadth of relevant business decision-makers in a timely manner. Data should not be mined with a gatekeeper mentality. “Self-service BI” – I’ve always disliked the expression as it conjures dreary images of petrol station queues and stickily malfeasant slurpee machines – allows BI to find a far greater number of benefactors. And in doing so, improves the ability of an organization to utilize its data quickly and accurately to support better, faster decision-making. How so? Because if more people have access to the facts, well; more people know what’s going on, and thus, form a better understanding of the appropriate actions and reactions. Another relatively recently coined and practically interchangeable term – ‘the consumerization of BI’ – has also been flagged as an antidote to persistently poor BI user adoption rates. Definition: For the purpose of this discussion, we can think of the consumerization of BI as the inclusion of user-friendly features and functionality to boost interactivity and ease-of-use (also referred to in broader contexts as the ‘gamification’ of enterprise IT). Industry research and analyst goliath, Gartner, suggests as much in its report The Consumerization of BI Drives Greater Adoption. "The fact of the matter is that BI is not pervasive and adoption is not in line with the investment made by most firms,” said Gartner Research Director, James Richardson. "Less than 30 percent of the potential users of organizations’ standard BI tools use the technology today. This is often because the tools are too difficult to use, slow to respond or deliver content of limited relevance. "The consumerization of BI technology offers a means for it to break out and reach many more users, by offering faster, more user-friendly and more relevant BI." Gartner further underscores the need to focus on user adoption rates as a means for better BI ROI, suggesting that an almost unbelievable 70 to 80 percent of BI projects result in failure. The aforementioned Aberdeen Group report (May 2012) – Managing the TCO of BI: The Path to ROI is Paved with Adoption – found that companies with top performing BI deployments “are spreading BI costs to more decision makers, creating an effective self-service environment, and enjoying a faster and more meaningful Return on Investment (ROI) as a result”. Unsurprisingly, the report identified the chief driver underpinning organizations’ desire to boost user adoption – via self-service BI – as an increasing demand for business users to be able to make better-informed fact-based decisions (53%). The ability to enable end users to perform independent data analysis: 74% of Best-in-Class organizations enable end-users to perform independent data analysis (unaided by IT); compared to 52% for Industry Average organizations and 30% of Laggards. The inclusion of business users in the development of BI strategy: 35% of Best-in-Class organizations enable end-users to influence BI strategy; compared to 27% for all other organizations. The automation of data collection and collation to enable self-service: 30% of Best-in-Class organizations automate the collection and collation of data, as far as reasonably possible, to best enable self-service BI capabilities; compared to 24% of all other organizations. Decentralized BI support: 64% of Best-in-Class organizations enable non-technical business users to derive faster value from their BI tool by offering decentralized BI support within each specified business unit; compared to 43% of Industry Average organizations and 25% of Laggards. Best-in-Class organizations were distinguished from Industry Average and Laggard companies by the frequency of BI usage. The frequency with which BI reports are accessed and utilized to underpin organizational decision-making is an effective yardstick for measuring the success of a BI project – its sustained adoption. But, if fast and strong ROI, and an actively engaged audience, are two BI outcomes you don’t deeply desire to realize from your next BI deployment, just disregard this dictum and book a date with the latest Depp disaster.